What is your primary use for a laser machine? Cutting or engraving? 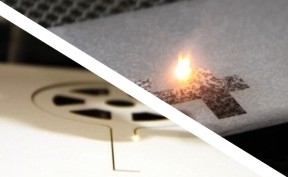 Not all laser machine manufacturers differentiate between these two operations. However, we have CO2 (DC and RF), the best laser cutting machines that can perform both of these tasks. The difference between laser cutting systems and engraving machines is in the optics and power that are subtly tuned for the specific task the laser machine is designed for. Higher laser powers are needed for cutting at production speeds. Our larger, cutting machines are fitted with an optical system designed for this purpose, maximising the productivity obtainable from their powerful 80W and 100W and higher power laser tubes. CTR's 50W to 80W laser engraving machines are optimised for engraving, with a different focal length lens to give a sharper focus for very fine detail. Both our laser cutters and laser engraving machines for sale can perform both tasks, but it is best to choose the model based on your volume requirements. Which materials are you looking to process? Generally, the harder the material, the greater the power of laser required for a given task. Thickness of the material also needs consideration. Higher powers of laser cutters or engravers are capable of deeper penetration into any given material. A general rule to remember is 'double the power and you can double the speed'. With so many materials available, it is difficult to give meaningful guidance as to the cutting or engraving speeds etc. For specialist materials and metals, please contact us for advice on the best laser cutting or engraving machine for sale for your application. The best way to get answers is to send us a sample of the material you wish to process, along with details regarding your aim. We will be pleased to run trials and give the best advice possible to suit your needs. What size of sheet material will you use for your job? This is more straight-forward. 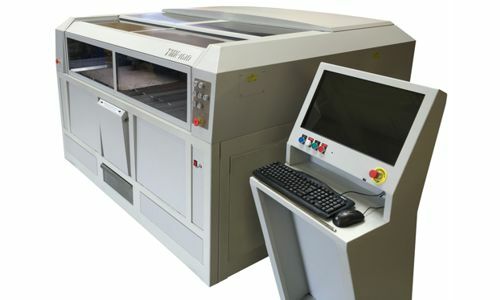 Select a laser machine with a bed of a larger size than the part you need to cut or engrave. Having said that, remember what we said under the topic 'Running costs'? Nesting smaller items on a larger sheet can significantly improve productivity and reduce waste. Larger laser cutting machines are better if you have high volumes to produce. Look at the comparison tables on the 'Laser cutters' and 'Laser Engravers' links to see the work areas of the machines. The choice of the best laser cutting machine shouldn't be made on budget alone! This is obviously very important, but you will soon find that it is false economy to buy a laser cutting machine that 'might just do' when for a little extra the correct cutting machine for the job will more than pay for itself by greater productivity and reliability. The same is also true of buying an over-spec' machine, as running costs are higher and the cutting or engaving machine will be standing idle for periods of time, taking up valuable floor space which could possibly be better used. CTR can assist with finance options if you prefer to have the laser machine pay for itself as you use it and to make payment by installments. All our laser machines come with the necessary 'extras' needed to run the machines - one less area to be concerned about when selecting from our products, leaving you free to concentrate on the three basic features. You can see an outline of the ordering process, which gives an overview of the steps involved between your initial enquiry and the machine in operation at your site.